The University provides a range of services that will assist you in adjusting to uni life and help you become a successful student. During your first semester we may contact you to provide details of the support available to you. Emails to you about the services and support will be signed Succeed@Adelaide. 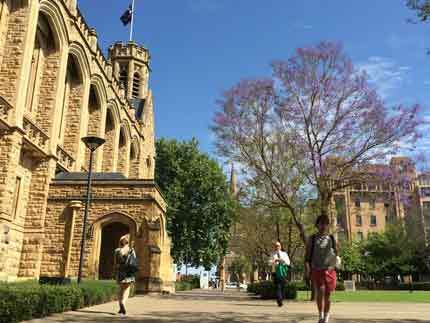 Get all the essential information you need to equip yourself for a successful semester at uni. 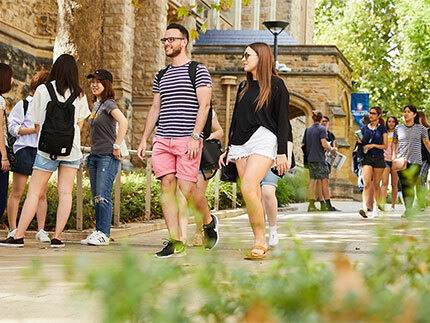 The enrolment process means that you are officially a student of the University of Adelaide. If you haven't yet enrolled and are looking for more information, you can visit getting started and check back here later. There are also summer and winter school study periods, which are optional. Students sometimes study subjects over summer and winter to lighten their load during semester or to finish their degree a bit earlier. See the important University dates for both academic and critical dates. While there is plenty of fun to be had at University, you need to start thinking about your studies and what you need to do to get ready. For many students, their expectations of what uni life will be like is often mismatched to the reality they experience. We have developed a resource to show you how some of your assumptions and expectations about what you'll experience matches to the reality of uni life. We've put together a quick guide to help you find your way around in the first four weeks. Check out the library tours and website - this will help you get a great start on how to research for your assignments and will save you precious time later on. Tutorials usually begin this week. Tutorials are smaller class sizes than your lectures where you can deepen your learning from the lectures, ask questions and challenge and discuss content. It’s the best opportunity to start making friends in your classes. You will need to start your readings and be prepared to attend your tutorials. Required reading and preparation will be detailed in your course outlines. Even if you don’t understand the work yet, you will find that you will get more out of your tutorials by being familiar with the content. Your faculty may send out weekly student newsletter and is in your email inbox. This will let you know what’s happening in your faculty and provides relevant news and information. Connect with your fellow students by joining the University’s Facebook group, or following us on Twitter. You can get daily updates about fun activities around campus and things you need to know about the upcoming week. Visit and bookmark the Current Students website – they provide an overview of the services and support available to you. If you can’t find something, this is the best place to start looking! Check out OnDit magazine for highlight of on-campus activities. Have a look into the UniThrive and online resources. They provide information, tools and resources to support you across a range of academic, personal, emotional and social well-being concerns. By this week, you may be preparing for your first assignment. There is a range of drop-in support and services available for you to access free of charge. The Counselling Service is free and confidential to address issues that may be affecting your study and life. Drop-in between 1:00–4:00pm Monday – Frinday, Horace Lamb Building Ground Floor or book an appointment. The Writing Centre provides academic learning and language support and resources, with a drop-in service in Hub Central where you can visit without an appointment for practical advice and strategies to master reading, writing, note-taking, and referencing techniques for success at university. Drop-in between 10.00am–4:00pm Monday – Frinday (during teaching weeks, SWOT and exams (check the website for opening hours at other times), Hub Central Level 3 East. The Maths Learning Centre aims to help you succeed in learning and using the maths you need for university. There are resources online to help you with the maths associated with your courses, seminars on succeeding at uni. Drop-in between 10.00am–4:00pm Monday – Frinday (during teaching weeks, SWOT and exams (check the website for opening hours at other times), Hub Central Level 3 East. 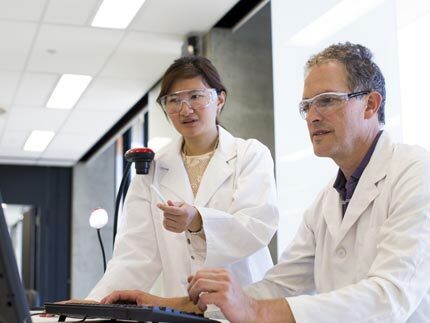 The Careers Service provides a range of services to develop your career and assist you to make the transition from a university student to an industry professional. Explore the Careers Service workshops and attend the Careers Expo. The Careers Service can also help you gain skills to boost your profile with employers and search for professional jobs, vacation work, internships, graduate opportunities and program-related placements on CareerHub. Put your assessment due dates in your diary and schedule time to work on your upcoming assignments. Many students tend to dedicate more time to work than study and this can really affect your academic success. University is about the experience. Both the academic and social aspects contribute to your success here. There are many ways to get involved and make the most out of your time by enjoying activities and entertainment on offer. 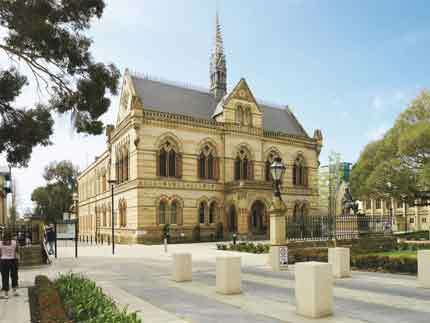 Check out the Adelaide University Union website for upcoming activities on campus. There are a range of support services that you can access if things haven’t worked out this semester. Speak to someone if you are considering dropping a course or make a semester off. We encourage you to talk to your student adviser or course coordinator to explore your options, or you may want to speak with a careers adviser for assistance with your career options.